November 5, 2018 Hosting a Holiday Party? 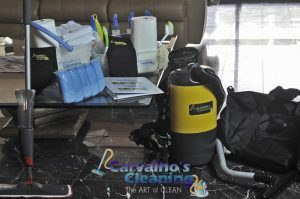 Let Carvalho’s Cleaning Prepare Your Home! The holiday season is one of the most hectic times of the year. There is simply so much to do and so little time to do it. There are gifts to buy, holiday parties to attend, and a million other things demanding your attention. So the last thing you need to worry about is getting your home ready for a holiday party. Don't worry, you don't have to. Carvalho's Cleaning's professional house cleaners can get your home looking its best so that you can impress all of your holiday guests this season. When you let Carvalho's Cleaning prepare your home for your holiday events, it's one more thing you can take off your ever-growing holiday to-do list. During the holidays, you're simply too busy to worry about something so time-consuming as cleaning your home in preparation for your holiday gifts. Instead, with just one call to Carvalho's Cleaning, you can have the kind of clean and orderly house that will have your friends and family admiring your housekeeping skills. You can make a big holiday impression without having to do any cleaning on your own. Let's face it: There are just too many other things to worry about during the holidays than how much time and effort will be required to prepare your home for holiday entertaining. This holiday season, make it easy on yourself by letting the professional, experienced housekeepers from Carvalho's Cleaning get your home in the kind of shape you can be proud of. Now you can finally enjoy the holidays for a change rather than being overcome by the whirlwind of preparations. With just one call to Carvalho's Cleaning, all of your holiday cleaning responsibilities can be taken care of without worry.